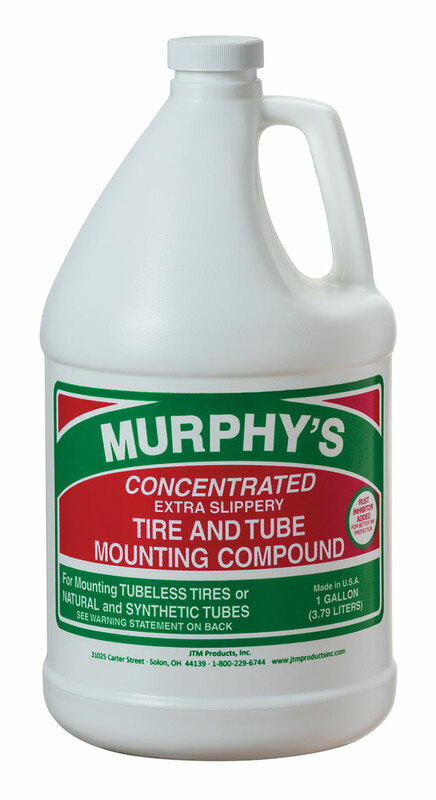 Murphy's Concentrated Extra Slippery Tire And Tube Mounting Compound is a blend of natural polymers, surfactants, corrosion inhibitors, and stabilizers. It does not soften or swell most rubber formulations. Murphy's can be used in any application where rubber needs to be lubricated relative to its dry state. It provides low friction to prevent twisting and cracking; therefore parts will not grab or seize onto the metal, and seat readily and smoothly. Murphy's Concentrated Extra Slippery Tire And Tube Mounting Compound has been used in the tire industry for many years for assured seals with minimum distortion. It dries to a low slip residue that helps prevent slippage under high loads and high torque.